A few hours after my previous post, APEX 4.0 EA2 hit the air. I'll start some proper testing next week, but if you already want to read what is changed, you find more information on Joel Kallman's post. It looks like APEX 4.0 Early Adopter 2 is almost there... a couple of hours? a couple of days? Fact is that Joel is doing some tests on the EA2 build and reading Patrick's tweets says enough! Kris Rice blogged about the new version of the APEX Listener here and here. The APEX Listener will become the preferred way of connecting to APEX (before Apache and the Embedded PL/SQL Gateway). If you are not familiar with the APEX Listener, you find more information here. 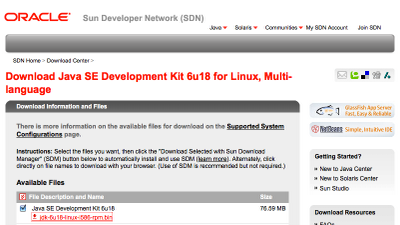 As a side note; now that Oracle and Sun are together, that website already has the "Oracle look". I wasn't expecting that so fast, but it's nice. The theme looks very similar to the APEX 4.0 Theme 1. 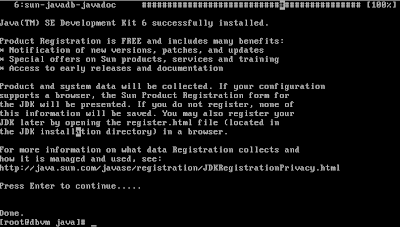 You find a complete guide of installing Java here. The APEX Listener needs a webserver, depending the webserver you need to follow different steps. You find a complete guide how to install the webserver and the APEX Listener here. I already had Apache Tomcat installed on my VM, so I went with that and just followed the installation notes. Finally run APEX via the port of the Listener and create a new page with a File Browse item, a button and a report that queries the collection. P1_EXCEL_FILE is the item name of the File Browse Item. 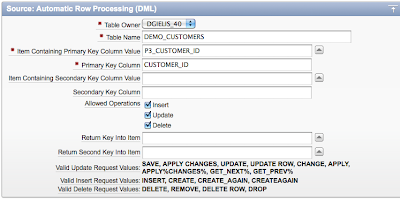 The other thing to remember is to call your button XLS2COLLECTION or have that as the request value. Get me a Suite at ODTUG! If you are going to ODTUG this year and you want me to do a favor... Put in my name "Dimitri Gielis" in "How did you hear about the conference?" when you register. 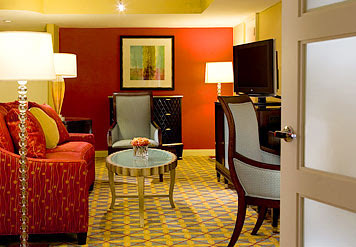 The person who has the most "referrals" gets a Suite at the Marriott Wardman Park! I'm not sure about the size of that Suite, but if it's big enough and I win, I'll give a party in the suite and everybody is invited to come! 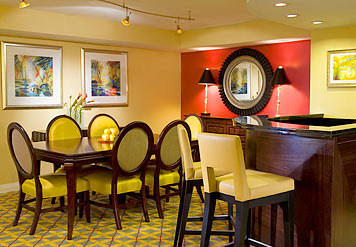 We could even start the "APEX Meetup" in the Suite and have already a couple of drinks before we go further! Consider this example; we have a typical APEX Report with Form. 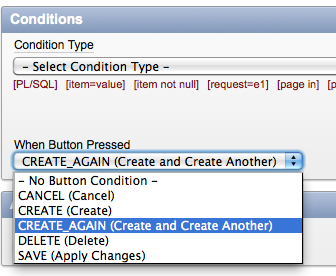 When we click on the Create button we come into the Form and normally you would see just one Create button. If you hit that button you get back into the Report. In some projects I use a "Create and Create Another" button as people need to enter more records at a time and this way they stay in the Form when they hit that button. - add a Branch that has as Target Page the same page and add a condition to fire on that "Create and Create Another" button. Be sure to put that Branch (sequence) before the unconditional branch. If you test that Form and you hit on the "Create and Create Another button" you stay on that page. Works great... so you think you are done, however if you hit the Create button you want to go back to the report (like it was before). But this doesn't work anymore, it stays on the same page too. So for some reason, although the Branch has a condition to fire on the "Create and Create Another" button, it ALSO fires on the normal Create button. After having a closer look at what APEX is doing, it turns out that APEX is using the Request value or incase of a button, the button name. As the buttons have the same name (the condition of) the Branch fires for both buttons. I found it confusing as the select box let you think it's a condition on a button. The behaviour is the same in APEX 3.x and 4.0. I would suggest to the APEX team to only show the request values or make it so the branch really knows which button got clicked. 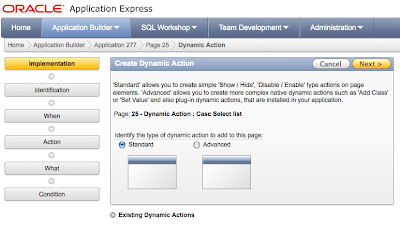 If you are interested in a Standard Dynamic Action in APEX 4.0, you should read this blog post. In this post I'll cover how to create an Advanced Dynamic Action. 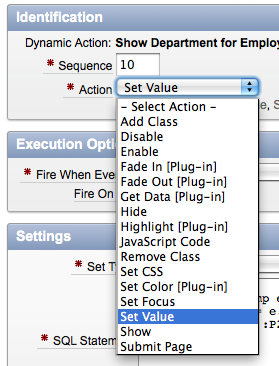 'Advanced' allows you to create more complex native dynamic actions such as 'Add Class' or 'Set Value' and also plug-in dynamic actions, that are installed in your application. 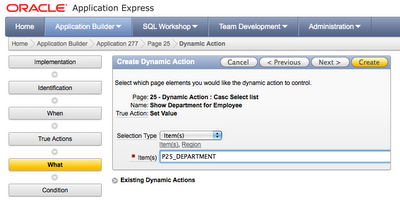 In this example I want to retrieve the department for a given employee. In this post we select Advanced, as we want to create an Advanced Dynamic Action, that does more than just show/hide or enable/disable. Tell the dynamic action when it needs to fire. In this case I want that something happens whenever I change from Employee (P25_EMPNO). Select the action you want to do. 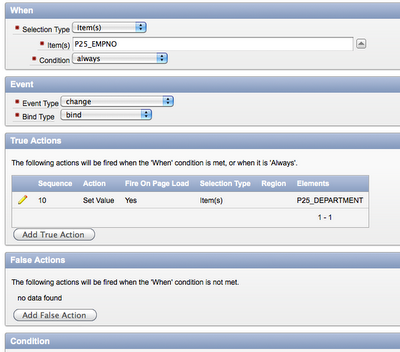 In this example I want to set the value of an item (the department) for an employee. 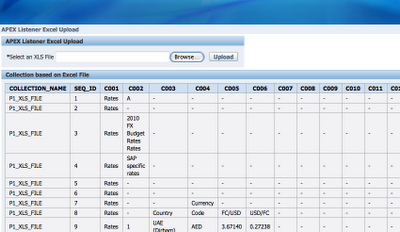 The value can be retrieved in a number of ways, but in this case I search the department with a SQL Statement. Finally you tell the dynamic action what item it needs to update. What you want to update can also be a Region, a DOM object or a JQuery Selector. You see the example in action here. There are many Actions you can chose from. 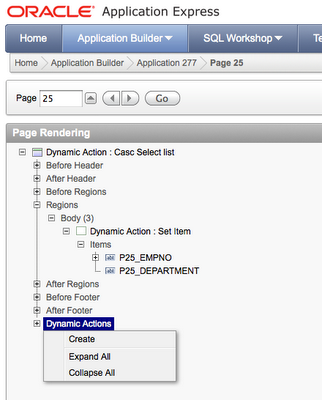 If you imported or created Dynamic Actions plugins, you find them in there too. Dynamic Actions are VERY VERY powerful and have an unlimited amount of possibilities. Although the above is classified as an "Advanced Dynamic Action" it's still a fairly simple example. In Part 3 I'll show how to combine plugins with dynamic actions to be even more powerful! On some of my APEX sites I seem to have a bandwidth problem. Not that the sites become slow, they just eat so much bandwidth without reason. We set a limit on the bandwidth a site can take a month, just so we are in control about the hosting/bandwidth fees we need to pay. If for some reason we see the site is eating a lot of bandwidth (which we didn't expect) we enable full logging for that site. Next we investigate the logs. You can read the raw data, but you can compare that with reading a tracefile. You can understand things if you look closely at it, but it's not very user friendly, so for tracefiles you use tkprof to get a more human readable output. Same counts for the Apache logs, there are programs that can format that in a better way. I used AWStats to convert my logs to a nice overview. The result looks very much like statcounter stats (without the chart). 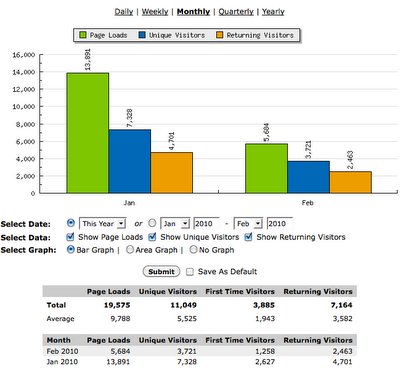 Out of these logs you can get very valuable information about your customers, not only do you see how many people you have per month/day/hour or which IP is accessing your site, you also get statistics about the platform they use. 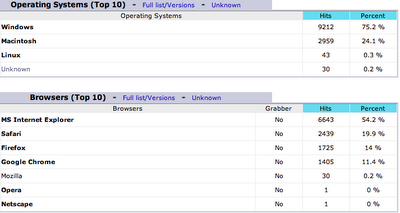 For me it was interesting to see that for that site Windows and IE are less used than what I expected. 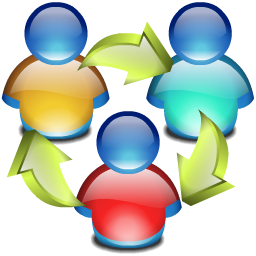 Further on in the log files you see how people reached your site; which keywords they used in a search engine or from which other site they came and how long they stayed on your site. For me most important was to get an insight where my bandwidth went to. It didn't take me long to see that Robots/Spiders where the problem! It's unbelievable that Yahoo's bot is eating so much bandwidth! To solve this issue you need to create a robots.txt with some parameters like specified in this link. 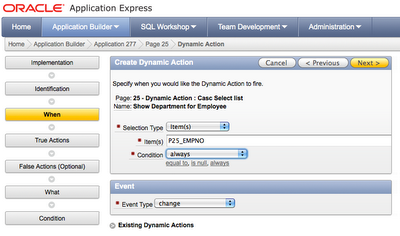 More and more Oracle User Groups include APEX tracks now. This year I won't go to IOUG Collaborate, instead I'll present at some other conferences in Europe. I never went to Bulgary or Sweden, so I look forward being there for the first time. I'll also talk on some customer events and do the APEX trainings in Brussels, Belgium. In November last year I blogged about a new initiative to launch an APEX SIG in the Benelux. The first results of that you'll see at the biggest Oracle User Group event in the Benelux, called OBUG Benelux Connect. This year it's held in Arnhem, the Netherlands on Tuesday March 23. Every year it changes location between Belgium and the Netherlands. 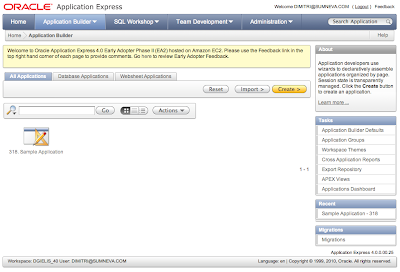 Where last year there were zero APEX sessions, this year Oracle Application Express became a focus area! There are three APEX sessions planned. 11.30 - 12.15 From subsidy request to payment: fast and flexible with Oracle APEX by Erik van Dongen and Arlette Koeijers is a case study of an app at the Ministry of Agriculture. 14.30 - 15.15 Defending the shores with Oracle Application Express by Arie in't Veld and Bart Meijer is another case study where previous Excel was used and which got replaced by APEX and BI Publisher to print PDF's. 15.45 - 16.30 APEX 4.0 by Dimitri Gielis. I'll speak about the biggest differences in developing in APEX 4.0 compared to earlier versions. Of course I'll demo the coolest APEX 4.0 new features! You find all information in the program magazine of OBUG Connect 2010 (pdf) or online on the OBUG site. 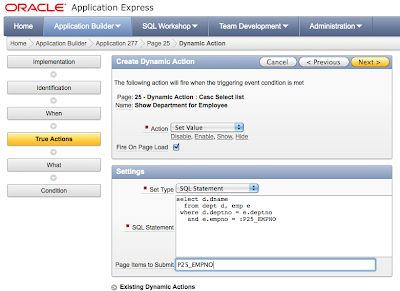 This year we'll do more Oracle Application Express trainings. You find the complete schedule on our new site. Both John and I will travel more in Europe to deliver these APEX trainings, but especially the first couple of months, personally I will concentrate more on the BeNeLux. I really want to see the APEX development increasing in this part of the world. The APEX trainings for March will take place in Brussels, Belgium. And where before we did more advanced trainings, now we also scheduled beginner trainings! 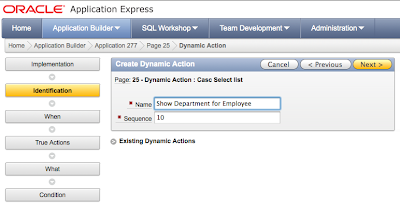 Introduction to Oracle Application Express is designed for those who have little to no interaction with APEX or for those looking to formalize their understanding of APEX. This course starts out with a review of the architecture of APEX, how it works, and some example projects that have been built with APEX. It then describes the Utilities and SQL Workshop facilities of APEX. The bulk of the class is spent on the application builder. 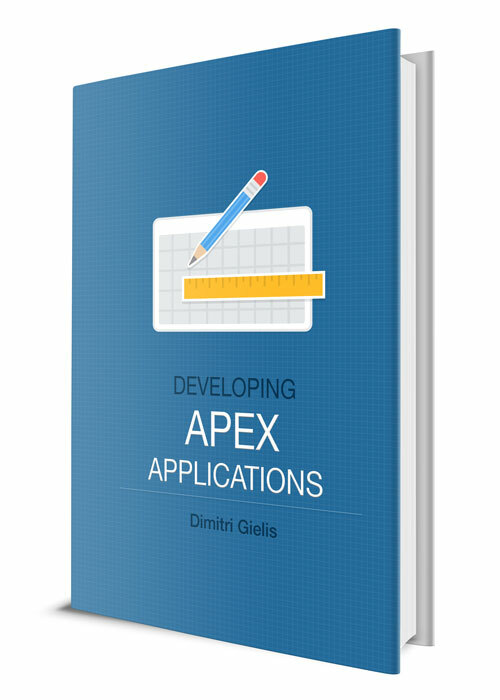 Most of the core components are covered in Intro to APEX I, with hands-on exercises used to reinforce the concepts. Beyond the basics, there is a world that will you to create truly great applications. Applications that rival any other language or technology. Advanced UI techniques, Error Management, Printing, Security and interactivity (AJAX and JQuery) are just a few of the topics covered in our Advanced APEX course. If you're ready to move beyond wizard driven applications, then this course is for you. You can find more information and register for the classes by clicking on the titles in this blog post. If you are travelling, on the right hand side you find some hotels that are close to the place the training is held. Lets spread the APEX word and hope to see you soon!